Unai Emery is relishing the challenge of beginning his Arsenal tenure against reigning Premier League champions Manchester City. Pep Guardiola’s side visit the Emirates Stadium on Sunday in what will be Emery’s first game as Arsenal’s head coach. 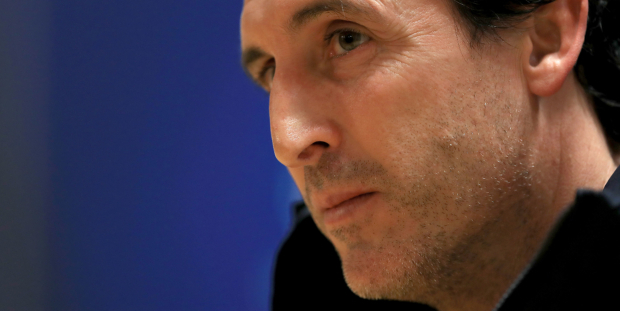 The 46-year-old replaced Arsene Wenger in May and, with a trip to Chelsea six days later, Emery could not have wished for a more difficult start to life in England. But he is ready for the challenge – even if he is aware of the threat posed by last season’s runaway champions. “We want to start well, we want to play and we want to show our quality, our work in this month tactically and with our spirit,” he said. Be the first to comment on "Arsenal boss relishing chance to take on Man City – and backs Kroenke"